Experienced engineers with comprehensive knowledge of FANUC products such as FA products, LASERs, ROBOTs and ROBOMACHINEs, quickly respond to customers' questions and requests for service. When services are required, skilled service engineers from the nearest base will be dispatched to customers' sites. FANUC has service offices all over the world in more than 260 locations. 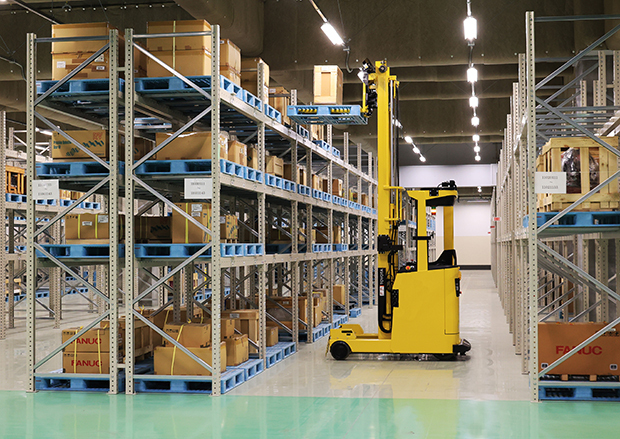 FANUC has abundant parts stock located in key service location around the world. The Parts Center in the Hino branch and Nagoya Service Centers stock the old to latest model parts and can be shipped for 24 hours. The Nagoya Service Center has a Global warehouse that make shorter delivers the parts to service company around the world. We recommend preventive maintenance to reduce unexpected failures and production downtime. Preventive maintenance will discover defect points, malfanctions and take action before the failure that result to Machine can be used for a long and stable. 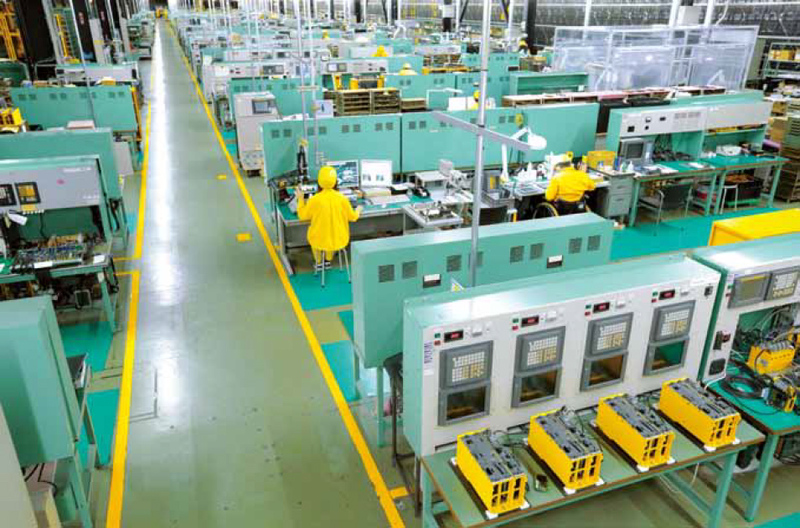 FANUC prepares preventive maintenance support such as periodic inspection, overhaul and PCBs wash-and-test. 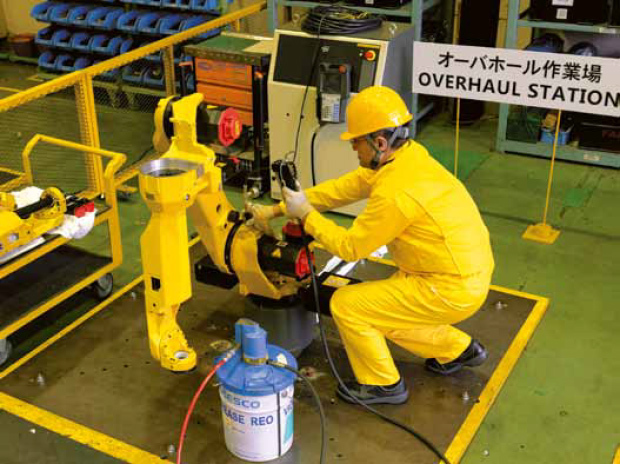 FANUC will keep on providing services as long as the customer continues to use FANUC’s products. 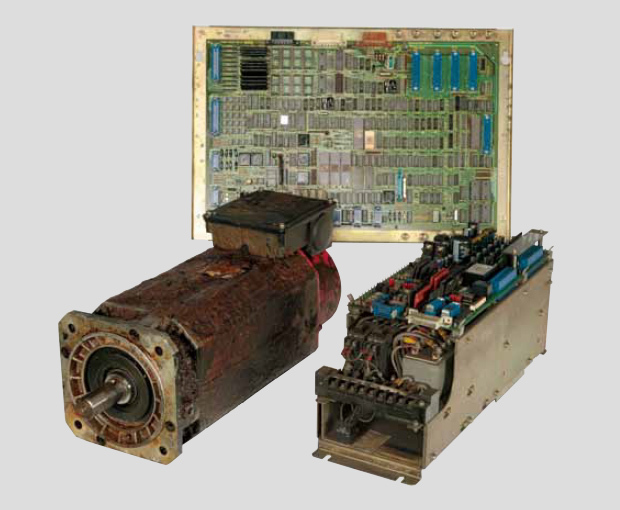 The Repair Factory is prepared to repair motors, PCBs or units which are more than 30 years old. Example of repair for PCB, SPINDLE MOTOR and SERVO unit about 30 years old. The Repair Factory has performed over 1.5 million repairs. Repair data is shared via tablet terminals and utilized as knowhow in domestic and overseas repairs, as well as being fed back in product development. The Repair Factory has over 460 testing equipment and can perform more than 13,000 types of repairs. Moreover, the Maintenance Parts Warehouse stores over 2 million parts consisting of 17,000 different types, including parts which are no longer manufactured. Units which have broken down are cleaned in a washing machine using ROBOTs or other means, and after being dried overnight in a drying furnace, they are repaired. Not only damaged parts but also long-used parts which are about to live out their lives are replaced, to attain a quality in repair that is equal to a brand new unit.